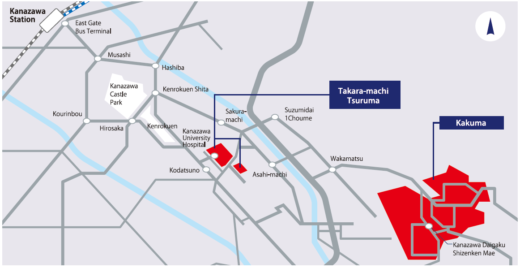 Kanazawa is located on the Sea of Japan and is accessible via train or plane. 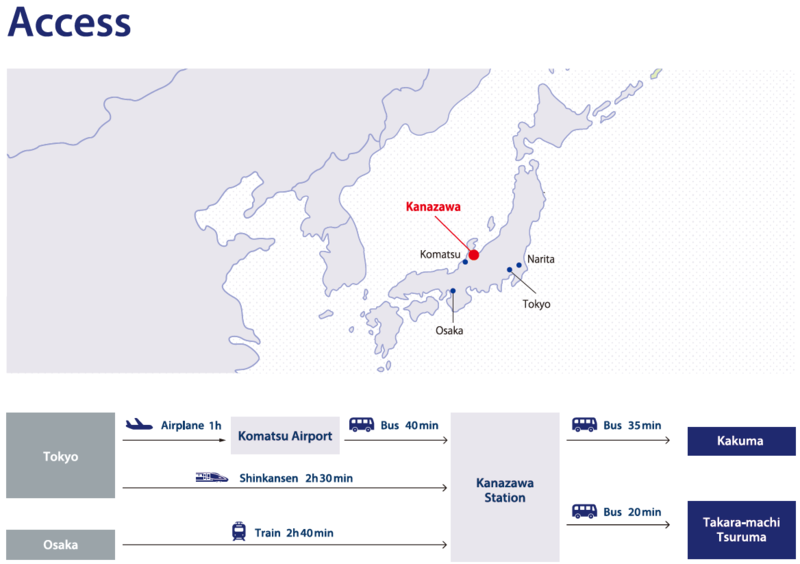 It is possible to fly to Kansai International Airport and take The Thunderbird Limited Express train from Osaka station to Kanazawa, or to fly to either Narita Airport or Haneda Airport, both located in the Tokyo area, and then take the Hokuriku Shinkansen (bullet train) to Kanazawa from Tokyo station. There is also the option of flying into the regional airport, Komatsu, and taking a limousine bus to Kanazawa Station. Kanazawa University has two campuses, Kakuma and Takaramachi-Tsuruma. Kakuma Campus is about a 30-minute bus ride from Kanazawa Station. Please take a bus from bus terminal #6 located just outside of the Kenrokuen (East) Entrance. 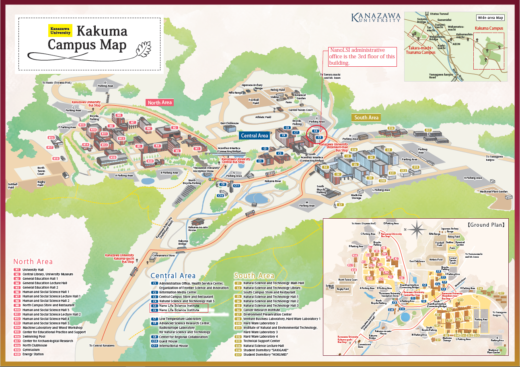 Buses going to Kanazawa Univeristy include #91 (weekday only), #93, #94, or #97. Please get off at the “Kanazawa Daigaku Shizenken-mae” stop which is located in front of the Natural Science and Technology Hall. The fare is 360 yen. 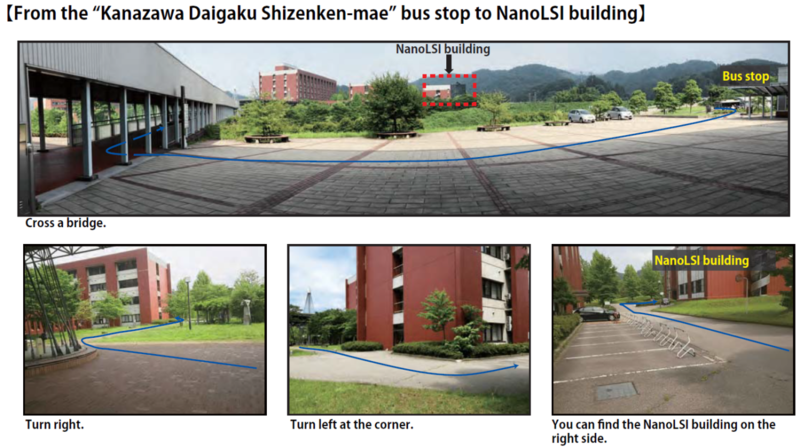 NanoLSI Administrative Office is in the 3rd floor of the bldg (B301, B302).